This statistic presents the results of clients assessment of their current account providers, where clients were asked to evaluate the selection and delivery of various financial services. 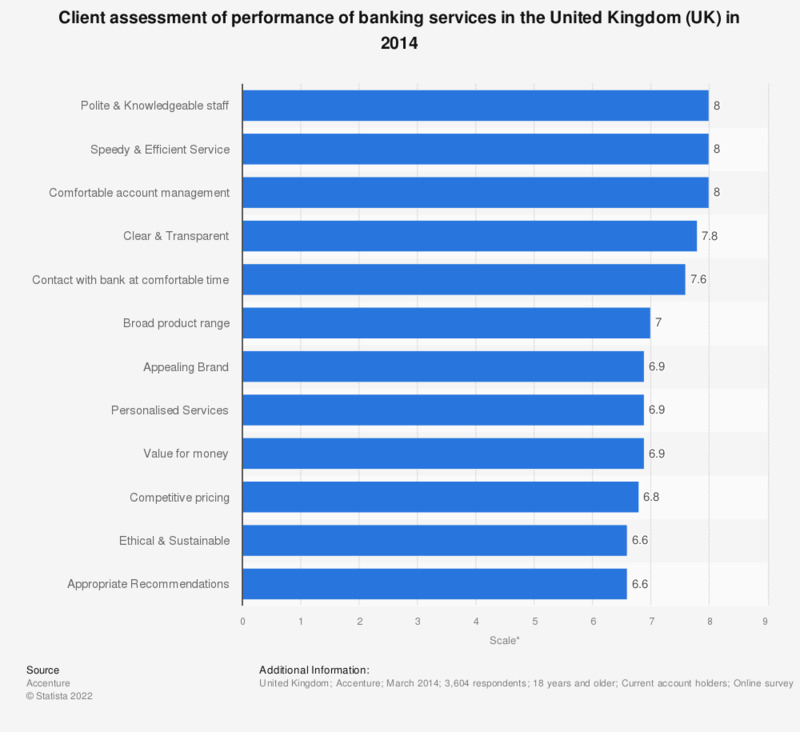 Performance of current account providers was rated highest (at 8.0) for 'comfort of account management', 'knowledgeable staff' and 'speedy efficient service'. Providers´ 'appropriate recommendations' were rated relatively low, at 6.6, similarly to the 'sustainability of the business'. Customers rated various aspects of services provided by their banks, answering the question: ‘How important are the following factors to you when selecting a current account provider, and how well does your current provider deliver against these factors?’ by assigning a number out of 10. * The bars show the ‘average’ score across the UK survey base. Are you satisfied or dissatisfied with the way Prince William is doing his job as Duke of Cambridge?